This 2-hour appointment is used for a combined assessment and private tutorial. Diet, herb and daily routine suggestions are included in the tutorial and a personal program is defined. You will be encouraged to stay in touch, by email or phone, to insure that your personal program is proceeding smoothly. Follow-Up Sessions are scheduled at the time of your Initial Evaluation or at the time of Blood-Work submission. In the case of reviewing Blood-Work results, this session will be within two-weeks of receiving your results. In the case of Ayurveda, the follow-up sessions will vary according to each individual case but will be approximately every 60-days starting from the inception of your personal program. 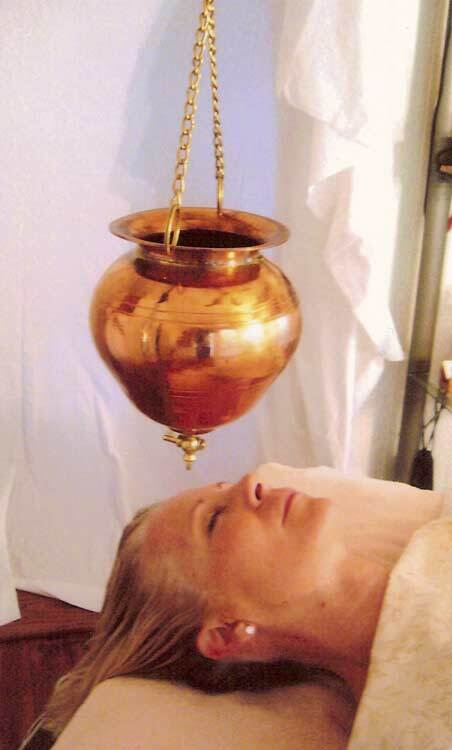 This is an “apprentice” type of relationship for those interested in serious study of Ayurveda. Topical, ad-hoc coaching available to active clients with recent evaluation data on file; this may be done by phone or in-person. A. For maintenance, as a single or a series. Warm, medicated oils will be applied in special patterns that are designed to open the channels of the body and rebalance the nervous system. B. For cleansing, a 3 to 5 session series is required. Special releasing strokes, herbal scrubs and oils are used. Deep-heat oil soak(s) for specific joint or skeletal problems. Eye treatment for the health AND beauty of the eyes. Thigh, buttock or tummy cellulite and toxin focus treatments. Warm medicated oil or milk streamed to the forehead for relaxation, reduction of anxiety, depression, agitation, insomnia.